Spring 2018: Berlin becomes Robot City! Robots&Girls – Techfashionlabel Startup in a new dimension. Encountering a humanoid robot is sometimes very difficult. A small kiosk in the middle of a concept shopping center in Berlin will very soon change this situation however. 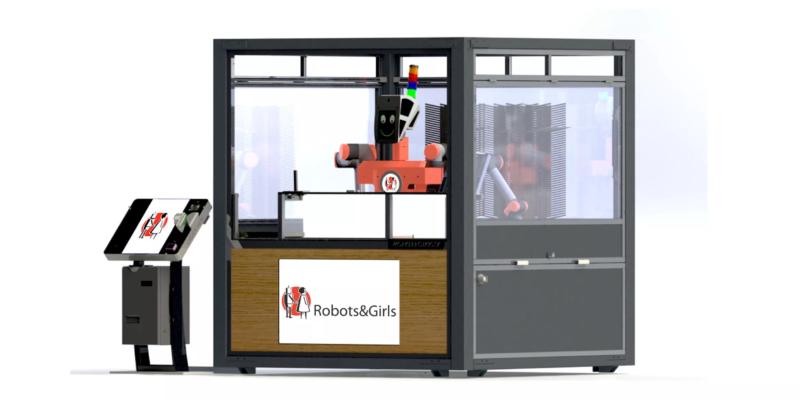 Robots&Girls GmbH will open the doors to the public of its first flagship store in the BIKINI BERLIN in Spring with a festive atmosphere and in the presence of the media and switch on the friendly huma- noid robot Gisela for it to start its work. The robot will then produce goods on its own in the unique shop and then hand over the final products to customers. The TechFashion label company Robots&Girls will offer technical Gadgets such as wearab- les, TechJewelry and TechToys. The first product will be a small robot, that the robot Gisela assembles in front of her customers. Also ‘click and collect’ purchases are being considered. This involves customers being able to order goods in advance in Internet and then collect them at the workerbotkioskTM. 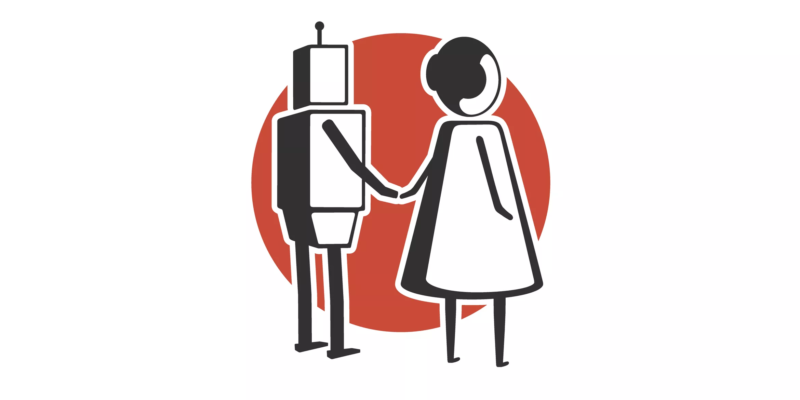 But Robots&Girls GmbH will however go much further. The newly established company also of- fers the kiosks for sale or rent and plans, following a successful start in Berlin, to bring worker- botkioskTM to the market as a franchise concept, or to grant individual licenses for use of the concept. Robots&Girls GmbH operates as the worldwide first company to run, lease or grant licenses for kiosks as retail outlets run by humanoid robots. Dieser Eintrag wurde veröffentlicht in English, Events, General, German und verschlagwortet mit Berlin, BIKINI Berlin, Robots&Girls, Store, ToyBot von Sebastian Trella. Permanenter Link zum Eintrag.